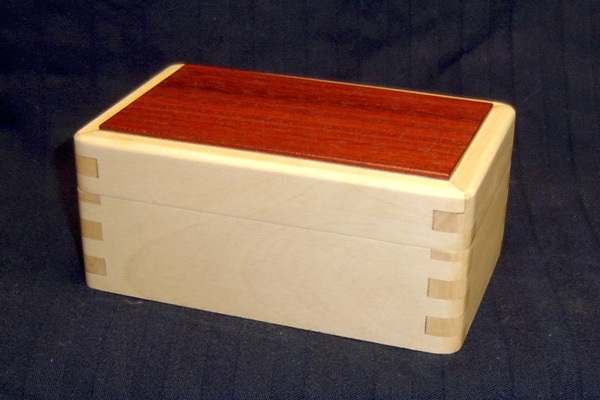 This box is made from Holly with a Bloodwood top. The dimensions 5"x 3"x 2" tall. It is finished inside and out with a few coats of drying oil, the outside wet sanded with each coat of oil down to 800 grit. The result is a piece that is absolutely smooth and lovely to the touch. 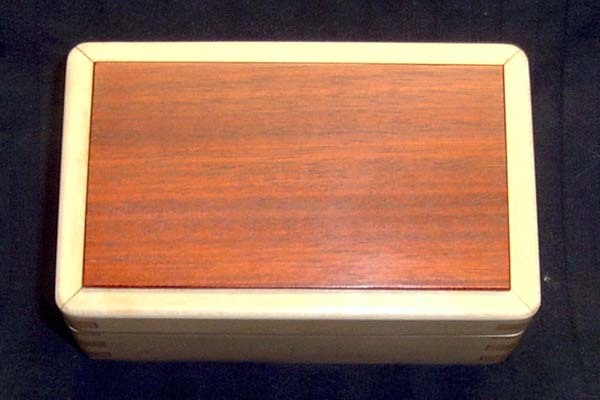 The whole box was then buffed with a coat of Canuba wax. 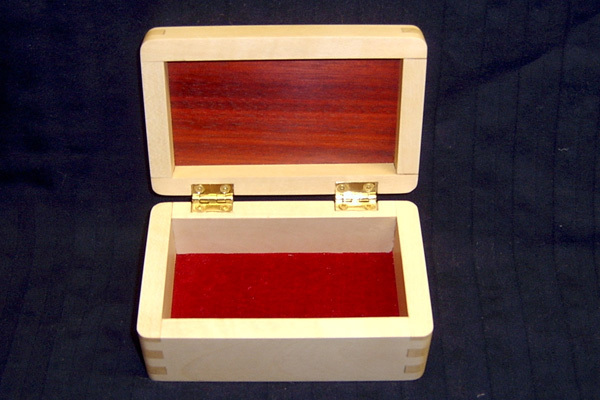 Hinges are a standard type and the box opens to 180*.